If you are looking for a children's entertainer or Children's Entertainers in Hampshire. Silly Scott is the perfect Kids Magician for your event. Scott is based in Portsmouth and covers all area's of Hampshire and the surrounding counties of West Sussex, Dorset, Berkshire and Surrey. 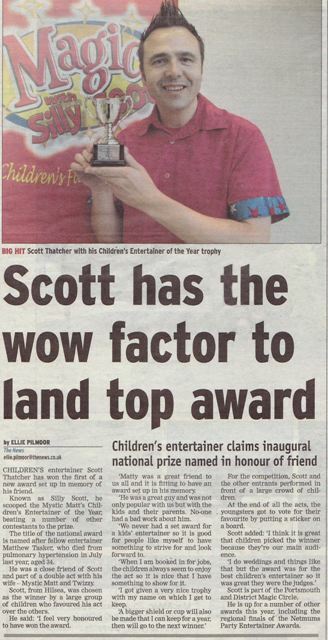 Look no further as Silly Scott is the entertainer you have been searching for. He has been wowing family audiences for over 20 years, as has proved to be the number one choice for all of Hampshire's biggest family attractions. So if you are looking for the very best family entertainer you can hire for your childs birthday party then look no further and give Scott a call now.